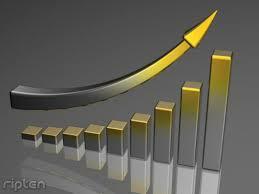 The markets opened sharply higher in line with the Asian markets. The significant buying witnessed across the board in the early trade. The Realty, Metal, FMCG, Banking and IT stocks are leading the gains today. The broader market indices are also witnessing significant buying interest in the opening trade as both the BSE Mid Cap and the BSE Small Cap indices are trading with a gain of more than 1.5% each. The BSE Sensex is now trading above the 15100 mark and the NSE Nifty near the 4500 mark. The BSE Sensex is trading up by 305.33 points or (2.06%) at 15,148.15 and the NSE Nifty is trading higher by 94.25 points or (2.14%) at 4,493.15. The BSE Mid Cap increased by 94.81 points or (1.83%) to 5,269.55 and the BSE Small Cap grew by 105.73 points or (1.82%) to 5,923.09. The Overall market breadth is positive as 1306 stocks are advancing while 392 stocks are declining and the 55 stocks remained unchanged on BSE.